I hope everyone has a wonderful weekend! 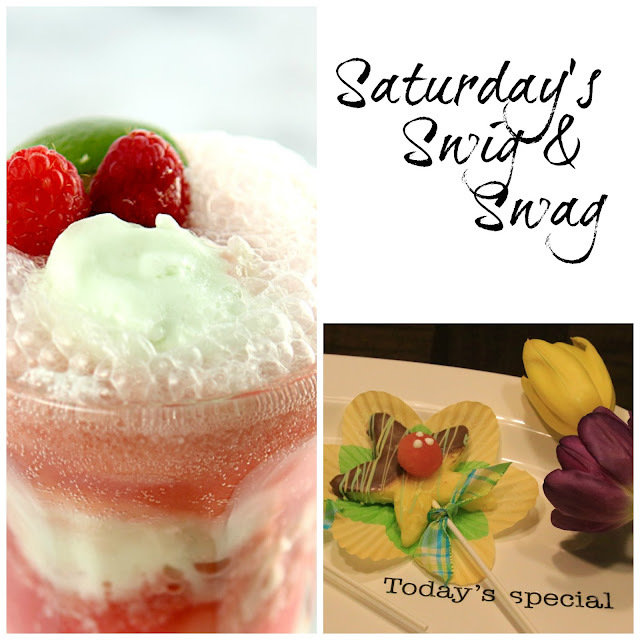 I think you'll enjoy today's Swig 'n Swag - I know we enjoyed this delicious Sparkling Raspberry and Lime Sherbet Float and chocolate dipped Pineapple Flowers! Both are great ideas to add a little something special to your weekend! Today's Swig is from Creative Culinary. This is a sweet and tart twist to an old fashioned Root Beer Float. Begin by chilling glasses in your freezer for 15 minutes. Add 2-3 scoops of Lime Sherbet to chilled glass. 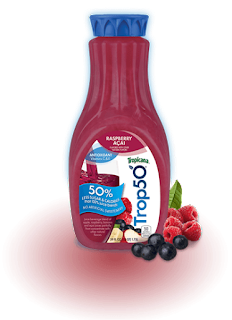 Fill the glass almost to the top with Trop50 Raspberry Acai. 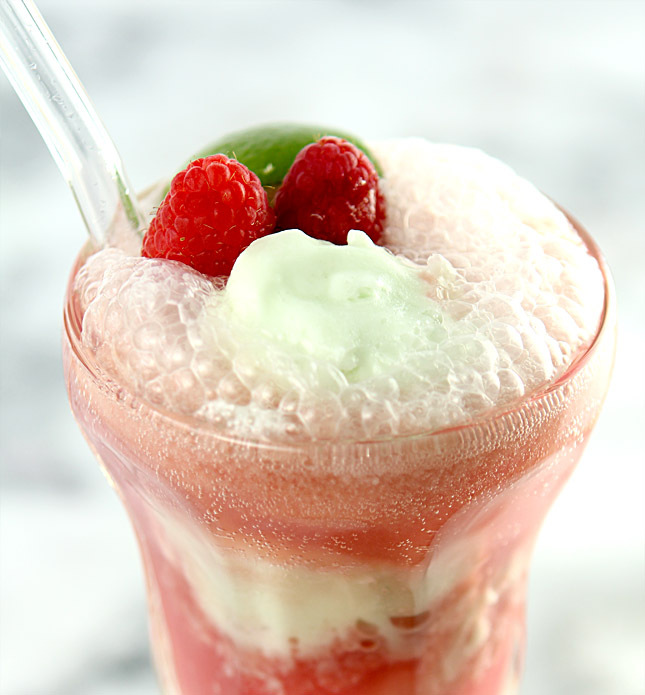 Top with Club Soda for a little fizz, garnish with fresh raspberries and a lime slice for a little swag, and ENJOY! A fun and delicious idea to spruce up the fruit you serve for Mother's Day, or any occasion, is to turn pineapple into chocolate dipped flowers. Pineapple flowers are not only fun to make and serve, they are deeelicious! Begin by preparing your fruit. Slice pineapple in approximately 1/2 inch slices. Using a flower cookie cutter, simply cut out your flowers. Scoop round balls of cantaloupe and watermelon for flower centers. For the chocolate, I buy melting wafers for dipping at Bakers C&C in Salt Lake City, but you can purchase the chocolate wafers for dipping at many locations. You'll find them any place that sells cake decorating supplies. I love the rainbow colors of dipping chocolate that is available - I went with green and yellow to add a little swag, and bright white to top the centers of the flowers. To keep the process simple, I melt my chocolate in the microwave on medium power for 50-60 seconds. Stir well until completely melted. The bowl remains warm so keep stirring until all of the chocolate is melted. It doesn't take much time in the microwave and you don't want to scorch it. Dip your fruit and place on wax paper until firm. While the dipped pineapple is firming, melt your chocolate to drizzle. To keep it soft when I'm not using it, I put it a glass of warm water. These plastic bottles are great for drizzling and storing leftover chocolate for a few weeks. 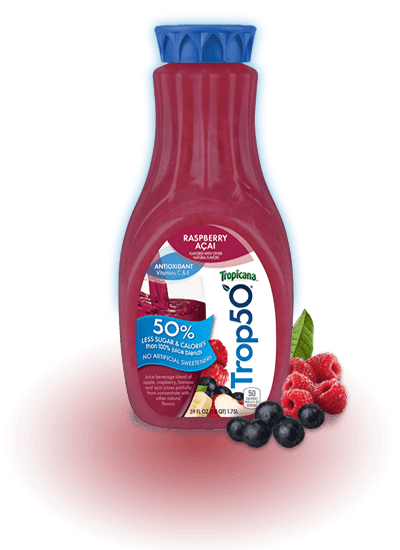 Drizzle one or two colors across the fruit, if desired. I dipped a few strawberries I had on hand - yummy! To add the flower center, break a round toothpick in half. Insert the pointed end into the center of the pineapple flower, and place the cantaloupe or watermelon ball on top. You can use sucker sticks to serve the pineapple if desired, but it's not necessary. If you do, it's best to insert the stick before dipping or right after so that you don't break the chocolate after it firms. I served my pineapple flowers on flower cupcake wraps (outside up) that I flattened. They turned out so pretty! Mother's Day is a special day that deserves something a little special. However, this is a fun way to make any occasion special! Have a great weekend everyone!